Hon. 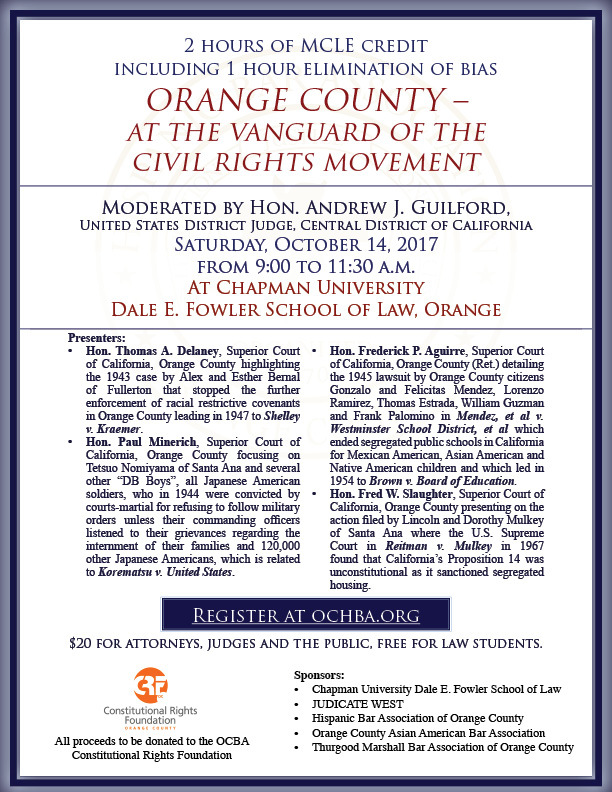 Thomas A. Delaney, Superior Court of California, Orange County highlighting the 1943 case by Alex and Esther Bernal of Fullerton that stopped the further enforcement of racial restrictive covenants in Orange County leading in 1947 to Shelley v. Kraemer. Hon. Paul Minerich, Superior Court of California, Orange County focusing on Tetsuo Nomiyama of Santa Ana and several other “DB Boys”, all Japanese American soldiers, who in 1944 were convicted by courts-martial for refusing to follow military orders unless their commanding officers listened to their grievances regarding the internment of their families and 120,000 other Japanese Americans, which is related to Korematsu v. United States. Hon. 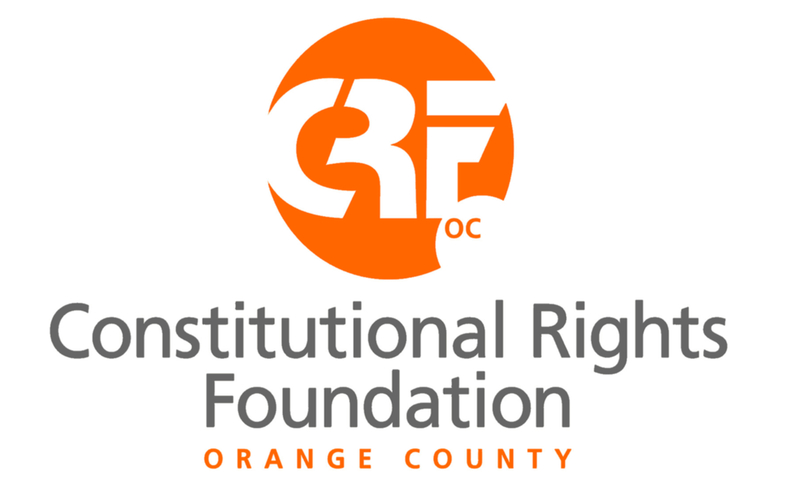 Frederick P. Aguirre, Superior Court of California, Orange County (Ret.) detailing the 1945 lawsuit by Orange County citizens Gonzalo and Felicitas Mendez, Lorenzo Ramirez, Thomas Estrada, William Guzman and Frank Palomino in Mendez, et al v. Westminster School District, et al which ended segregated public schools in California for Mexican American, Asian American and Native American children and which led in 1954 to Brown v. Board of Education. Hon. Fred W. Slaughter, Superior Court of California, Orange County presenting on the action filed by Lincoln and Dorothy Mulkey of Santa Ana where the U.S. Supreme Court in Reitman v. Mulkey in 1967 found that California’s Proposition 14 was unconstitutional as it sanctioned segregated housing.